In a saucepan, heat ¼ cup of oil and brown the pork chops then drain off fat. 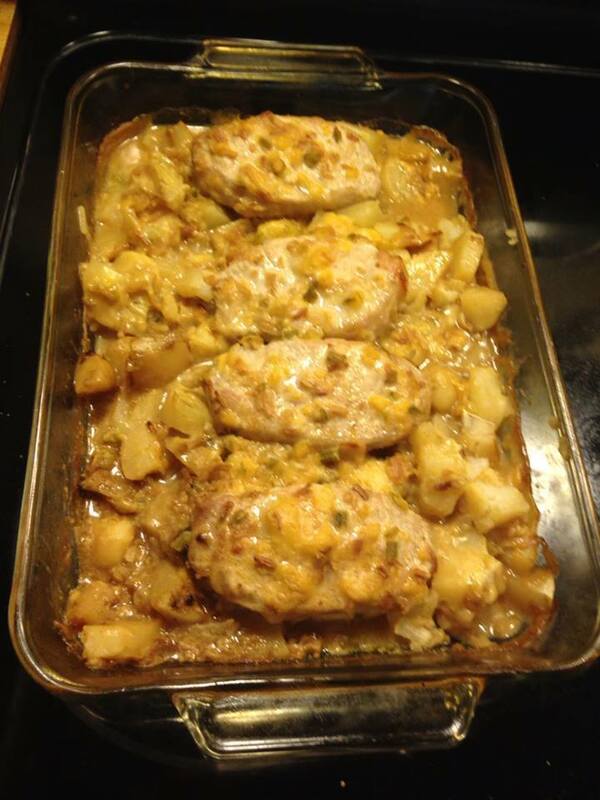 In a medium casserole dish, arrange the potato slices evenly then add a layer of pork chops. In a boil, mix together the onion soup mix, the cream of mushroom and milk and pour over the casserole to cover. In a preheated oven to 350° bake for 1 hour.